Sure, you can watch anime for free online, but rarely in HD quality and almost never in 4K quality. That’s where Netflix comes in. Netflix is surprisingly good when it comes to animated content. 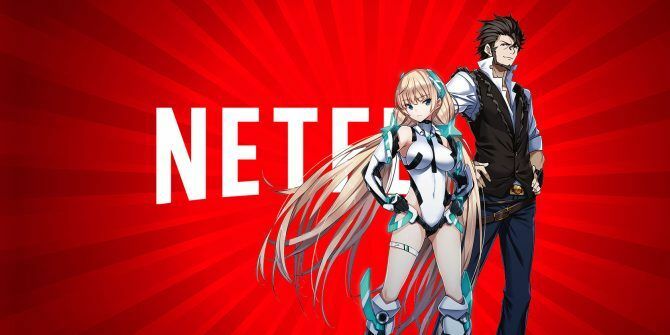 In 2015, the service added several popular anime series The 10 Best Anime Series to Watch on Netflix The 10 Best Anime Series to Watch on Netflix Netflix has an impressive selection of anime shows just waiting to be discovered. In this article we pick the cream of the crop, with 10 anime shows everyone should watch. Read More in batches, then in 2016 rounded off its selection with a healthy dose of mainstream animated films The 11 Best Animated Movies You Can Download Off Netflix The 11 Best Animated Movies You Can Download Off Netflix Netflix is finally allowing users to download content to watch offline. This is great news for parents, who can now download animated movies guaranteed to keep their kids quiet over the holidays. 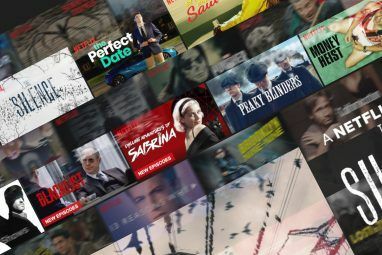 Read More and classic animated TV series 10 Animated Shows for Adults to Watch on Netflix 10 Animated Shows for Adults to Watch on Netflix You really should watch these awesome animated shows for adults on Netflix. They're funny, anarchic, and often more thought-provoking than serious dramas. Read More . As well as all of that, Netflix offers the occasional “anime movies” — feature-length standalone stories that can be original or take place in the lore of an established series — and some of them are rather good. Here are the most compelling anime movies you can watch on Netflix right now. Expelled From Paradise takes place in a post-apocalyptic future where most humans have forsaken their physical bodies to live in a virtual reality set upon an orbiting space station. But when dissident messages appear originating from Earth, a law enforcement agent must touch down and investigate. Expelled From Paradise is the most polarizing anime movie on Netflix. Viewers tend to love it or hate it, and I’ve yet to meet anyone who considers it just mediocre. I suspect that the more anime you’ve seen, the more disappointing it will be for you. As a casual anime viewer, I found it wonderful. The art and animation are beautiful, the characters are compelling, and the story is interesting enough. It’s not a perfect film, but it’s well worth watching. In the same way that Game of Thrones revolutionized the face of dark fantasy, Berserk paved the way for dark fantasy in manga and anime. The characters are deeply drawn, the world is gritty and lived in, and there’s violence aplenty. The best storyline in the manga, called the Golden Age Arc, was adapted into a trilogy of films in 2012. The first film, The Egg of the King, is considered by fans to be the worst of the three but far from horrible. As usual, movie adaptations tend to lose out on a lot of the depth in the source material, and that’s true here. Unfortunately the second and third parts aren’t up on Netflix, but you should watch The Egg of the King anyway. If you like it, you can watch the other two installments elsewhere, and the trilogy’s climax makes it well worth the investment. The Ghost in the Shell franchise takes place in a near future where humans can switch out organs and body parts for robotic replacements. The original film is considered by many to be one of the best anime films ever made, mainly for its animation and intellectual themes. Ghost Pain, along with Ghost Whispers and Ghost Tears, comprise a prequel series called Ghost in the Shell: Arise. The films follow the same character, Motoko Kusanagi, but two years prior to the original film. While they don’t strictly live up the original, they are still excellent and are well worth a watch. Hell Verse is the fourth movie in the Bleach franchise and fits in somewhere around episode 300 in the anime series (episode 299 is a prologue for the film). The only other Bleach movie on Netflix is the third film, Fade to Black. I only recommend watching Hell Verse if you are heavily invested in the Bleach universe and you care more about action than deep character development. Hell Verse‘s best aspect is also its worst: it’s a rehash of many of the same themes in the anime series. If you want more of the same, great! If not, don’t bother. But as far as “more of the same” goes, Hell Verse is well executed. The animation is beautiful and the action sequences are fun to watch. With such a short runtime, Little Witch Academia is closer to a short film, but still deserves a spot on this list for its sheer quality. It takes place at a magical school for girls and follows an incompetent pupil who has high dreams of one day becoming a revered witch. Enough happens in the half hour to give this film a satisfying story arc, but the ending leaves enough room for sequels. And indeed, a 55-minute sequel titled Little Witch Academia: The Enchanted Parade is also available to watch on Netflix. 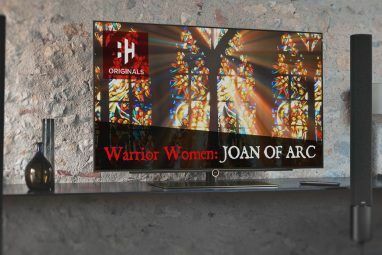 It continues further with a 25-episode TV series that began airing in 2017 but isn’t yet available on Netflix. This is a Shippuden film, which is Part 2 of Naruto‘s overall story. If you haven’t seen Part 1 of the series, you may want to start there first. A second Shippuden film, called Naruto Shippuden the Movie: Bonds, is also available on Netflix. The Madoka Magica anime series sits in a niche called “magical girls,” which often suffocates under an excess of cuteness, friendship, and magic. It’s a genre that typically appeals to younger girls, but Madoka Magica elevates itself to new levels with its willingness to tackle mature topics like death and justice. There are three films in the Madoka Magica franchise: Beginnings, Eternal, and Rebellion. The first two are “recap movies” that reimagine the original 2011 TV series. The third is an original story that completes the trilogy. Only the two recap movies are available on Netflix. 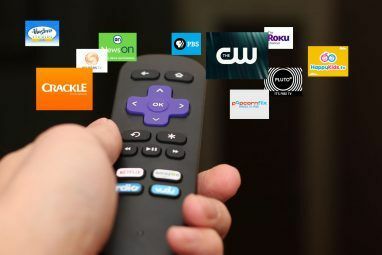 To further improve your Netflix experience, tackle these common and annoying Netflix issues and learn to use these helpful Netflix tools. You’ll be surprised at the difference a few tweaks can make. All in all, the fact that Netflix’s library covers such a wide variety of content, including anime movies, is evidence to me that Netflix is absolutely worth the asking price Is Netflix Worth The Money? Is Netflix Worth The Money? There are more people who don't subscribe to Netflix as those who do, and that swathe of the population wants to know if they're missing out on anything. Is Netflix worth the money? Read More . What are your favorite anime movies on Netflix? Would you like to see Netflix offer a greater selection of anime series and movies? Which anime movies would you like to see added to the Netflix catalog? Please share your thoughts with us in the comments below! Explore more about: Anime, Media Streaming, Movie Recommendations, Netflix. Not an "anime," per se, but it most definitely can be considered a CGI anime. Hi Alex. Is Steins;Gate on Netflix? Actually, I haven't find it there. That's what I'm talking about.